Roads – Secondary Roads are scheduled to open as follows: Forge Creek Road opened on March 10; Clingmans Dome Road will open on April 1; Roaring Fork Motor Nature Trail and Round Bottom/Straight Fork Road will open April 7; Rich Mountain Road and Little Greenbrier Road will open on April 14; and Balsam Mountain Road and Heintooga Ridge Road will open on May 26. Due to road damage and hazard trees, Parson Branch Road will remain closed in 2017. Cades Cove Loop Road will be closed for bicycle use only on Wednesday and Saturday mornings until 10:00 a.m. from May 10 through September 27. 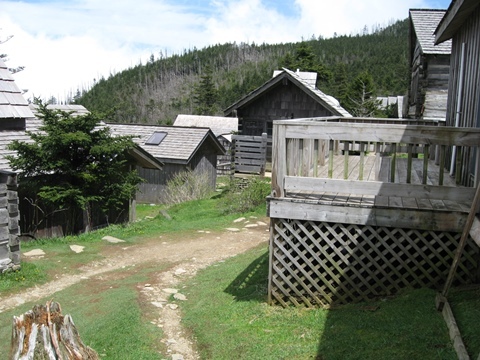 LeConte Lodge, accessible only by trail, will open on March 24. Reservations are required and can be made by calling 865-429-5704, fax 865-774-0045, or email at reservations@lecontelodge.com. One night at the lodge costs $145 per adult and $85 for children 4-12 (tax not included). Children 3 and under are free. The price includes two meals–dinner and breakfast. Day hikers and backpackers can purchase a prepared bag lunch and snacks/beverages at the lodge. Campgrounds open on a staggered schedule that started on March 10. See the following schedule for exact dates. Camping fees range from $14 to $23 per site per night. The park’s developed campgrounds of Cataloochee, Elkmont, Cades Cove, Smokemont, and some sites at Cosby are on the reservation system through Recreaction.gov for at least a portion of their seasons. Recreation.gov provides visitors an opportunity to make reservations to many federally-managed recreation areas, including National Park Service areas, across the country. The system allows campers to reserve specific campsites and to make reservations 6 months in advance. Group campsites and picnic pavilions can be reserved up to 12 months in advance. Visitors can make reservations at the five campgrounds, all group campsites, horse camps, and picnic shelters by booking sites online at www.Recreation.gov or by calling 877-444-6777. Advance reservations are required at Cataloochee Campground throughout the entire season. 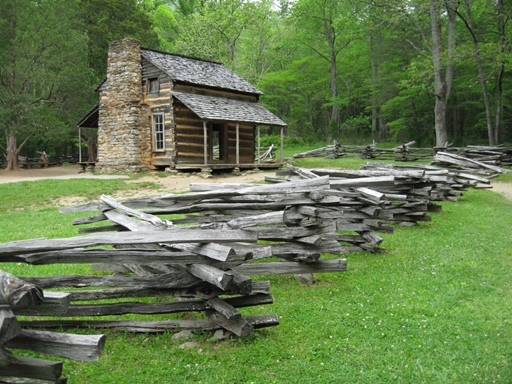 Reservations are recommended at Cades Cove, Elkmont, and Smokemont for the period from May 15 through October 31. During the rest of the open season, these three campgrounds are first-come, first-serve. At these three campgrounds, campers also have an opportunity to reserve a generator-free campsite. Cosby Campground, which has mostly first-come, first-serve campsites, has a limited number of reservable sites. To see the full opening schedule, please click here. If you plan to visit the Smokies this fall or summer, please take a few moments to check out our Accomodations Listings for a wide variety of lodging options in Gatlinburg, Townsend, Pigeon Forge and the North Carolina side of the Smokies. Great Smoky Mountains National Park officials will reopen the Whiteoak Sink area with limited access effective April 1 through May 15 to limit human disturbance in critical bat habitat and help hikers avoid interactions with bats. Park biologists will continue monitoring bat populations near the site as they emerge from winter hibernacula to collect population, ecological, and behavioral data that will provide resource managers information to develop a long-term protection plan. The Whiteoak Sink area is primarily accessed from the Schoolhouse Gap Trail between Townsend and Cades Cove. Hikers may descend into the Whiteoak Sink area, but access to the waterfall and additional areas are closed. The closed areas are clearly marked by orange fencing or signs. Hikers may not hike beyond the restricted areas. Biologists continue to see dramatic declines in cave-dwelling bat populations in the park due to white-nose syndrome (WNS). Bat researchers from Indiana State University have been monitoring summer bat populations since 2009 and documented declines ranging from 87% for tri-colored bats to 100% for little brown bats using mist-net surveys. Historically, these species were two of the most common in the park. Since 2013, researchers surveyed primary bat caves in the park and documented a 92% decline for the endangered Indiana bat. Surveys of secondary bat caves documented an 82.7% to 94.6% overall population decline for all cave-dwelling bats. Infected bats are marked by a white fungal growth on their noses, wings, and tail membrane. The skin irritation damages skin tissue causing the bats to wake from hibernation during winter months. Once aroused, the bats burn energy at a much faster rate depleting stored fat. With no food source available during the winter, the bats soon die. Infected bats exhibit unusual behavior including flying erratically during the day, even during winter months, and diving down toward people. They may be seen flopping around on the ground around cave openings. The park is home to 13 species of bats including the recently discovered Gray bat, the federally endangered Indiana bat, and the federally threatened northern long-eared bat which was added to the list in February due to declines caused by WNS . Bats play a significant role in maintaining ecological balance as the primary predators of night-flying insects. Biologists estimate that an individual bat can eat between 3,000 to 6,000 insects each night including moths, beetles, and mosquitoes. Great Smoky Mountains National Park is cooperatively working with other parks and federal, local and state agencies across the country to protect bats and manage their habitats. In an effort to prevent the unintentional spread of WNS by people, the park closed all of its 16 caves and two mine complexes to public entry in 2009. Ongoing research in the Smokies includes monitoring bat populations in the winter during hibernation and tracking bats in the summer to determine habitat use. A plan released by the U.S. Fish & Wildlife Service aimed at stabilizing the dramatic decline of the Indiana bat identified hibernacula found in the Smokies as one of only 13 sites across the country identified as critical habitat for this endangered bat. Wildlife biologists have determined that giving the bats the chance to survive includes establishing protective zones surrounding critical habitat caves. For more information about bats, please the park website at http://www.nps.gov/grsm/naturescience/caves.htm. 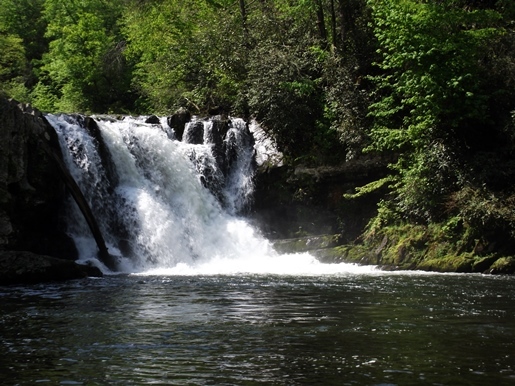 U.S. Forest Service officials at the Cherokee National Forest announced that national forest lands within the corridor between the area known as Oliver Hollow north to Wilbur Dam are temporarily closed to public entry except for people hiking through on the Appalachian Trail. The closure is being implemented because of black bear activity in the area. National forest lands within the corridor are temporarily closed to public entry by land and water access, except for through hiking on the Appalachian Trail. The Watauga Lake shelter on the Appalachian Trail is closed. Oliver Hollow is located on Watauga Lake in Carter County on Oliver Hollow Road off Highway 321 near Hampton, TN. National Forest System Lands within the closure area are from Oliver Hollow Road following the Appalachian Trail north. The eastern closure boundary is to the shores of Watauga Lake to the shared boundary with TVA land to Wilbur Lake and continuing along the Wilbur Lake edge to Wilbur Dam. The western closure boundary includes the corridor from the Appalachian Trail to the ridge of Iron Mountain from Oliver Hollow Road to Wilbur Dam. Oliver Hollow is a popular dispersed camping and day use area on the western end of Watauga Lake in the Cherokee National Forest. Black bears frequent the corridor and Oliver Hollow. Bears are opportunists and become habituated to campsites and picnic areas where food has been improperly discarded or stored and is easily available. Though naturally shy of people, bears learn to associate people with food. They learn to frequent the same areas where they may encounter humans. This is when concerns arise. Forest Service officials say that in all outdoor recreation settings, you should always store your food and trash so it does not attract bears and other animals. Food should be properly stored in a vehicle, in appropriate bear resistant containers or hung from a bear pole or tree when in bear country. Trash should be placed in bear-resistant trash cans where available or packed out when you leave. Do not discard any food scraps in picnic areas, shooting ranges or any other recreation site. Doing so may attract bears and lead to temporary closure of the site if safety becomes a concern due to bear activity. National forest visitor cooperation with this and similar closures may help break the cycle of bears returning to the same sites in search of human food, protecting you and the bears. Please click here for a map of the closed area. Firefighters conducted burnout operations Monday afternoon to reduce fuels and buffer fire lines on the White Creek Fire. The fire, which was reported Thursday, is burning near Shortoff Mountain at the south end of Linville Gorge on the Grandfather Ranger District of Pisgah National Forest. The fire is now 1,365 acres and 20% contained. Burnouts Monday afternoon took place on the north end of the containment area, near Chimney Gap. Removal of fuel in this area allowed for increased containment. A weather system is predicted to move into the area Tuesday afternoon, with potential for increased winds. Remember: Flying a drone near a wildfire is breaking the law. Doing so can result in a significant fine and/or a mandatory court appearance. So, be smart and just don't fly your drone anywhere near a wildfire. The White Creek Fire was reported at 4:00 pm Thursday and is burning near Shortoff Mountain at the south end of Linville Gorge, on the Grandfather Ranger District of Pisgah National Forest. The fire is estimated at 75 acres and 0% contained. Areas around Lake James and Morganton could experience smoke today and tonight, especially along Highway 181 between Oak Hill and Linville Falls. Smoke may also impact areas to the north and east as winds shift this evening. Travelers should use caution when driving in smoke - use headlights and increase following distances. The U.S. Department of the Interior Secretary Ryan Zinke recently hailed 331 million recreation visits to America’s national parks in 2016 – a third consecutive all-time attendance record for the National Park Service. Zinke made the announcement during a stop at Glacier National Park where he met with Park Superintendent Jeff Mow to discuss the park’s maintenance backlog and received a traditional spiritual blessing from members of the Blackfeet Nation. 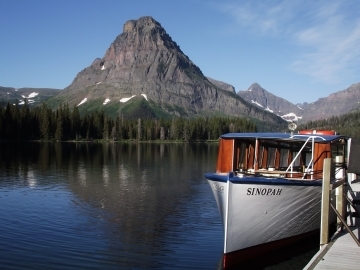 In 2016, Glacier broke attendance records attracting nearly three million visitors. Half of all national park visitation was recorded in 26 parks, but visitation grew more than 10 percent in parks that see more modest annual visitation. Mike Reynolds, Acting Director of the National Park Service pointed out, “That shows the breadth of support for parks and, I think, that the Find Your Park campaign launched with the National Park Foundation reached new audiences.” The National Park Services’ centennial and Find Your Park initiative combined with other popular events, such as the Centennial BioBlitz and other national park anniversaries, good travel weather and programs such as “Every Kid in a Park” helped drive record visitation. • 330,971,689 recreation visits in 2016 – up 7.7 percent or 23.7 million visits over 2015. • 1.4 billion hours spent by visitors in parks – up 7 percent or 93 million hours over 2015. • 15,430,454Overnight stays in parks – up 2.5% over 2015. • 2,543,221 National Park campground RV overnights – up 12.5 percent over 2015. • 2,154,698 Backcountry overnights – up 6.7 percent over 2015. • 3,858,162 National park campground tent overnights – up 4.8 percent over 2015. • 10 million recreation visits at four parks – Golden Gate National Recreation Area in San Francisco, Blue Ridge Parkway in North Carolina and Virginia, Great Smoky Mountains National Park in Tennessee and North Carolina, George Washington Memorial Parkway in Virginia, Maryland and Washington, D.C.
• 382 of the 417 parks in the National Park system count visitors and 77 of those parks set a new record for annual recreation visits. This is about 20% of reporting parks. • 4 parks were added to the statistics system and reported visitation for the first time. They added about 300,000 visits to the total: Belmont Paul Women’s Equality National Monument in Washington, D.C., Keweenaw National Historical Park in Calumet Township, Mich., Manhattan Project National Historical Park in Oak Ridge, Tenn., and Paterson Great Falls National Historical Park in Paterson, N.J. While at Glacier, Zinke was joined by members of the Blackfeet Nation including Chairman Harry Barnes, Secretary Tyson Running Wolf, Timothy Davis, Carl Kipp, Nelse St. Goddard, and Robert DesRosier, who performed a traditional spiritual blessing. For an in depth look at 2016 visitation figures please visit the NPS Social Science website. With more than 800 miles of trails meandering throughout the park, hiking is the absolute best way to see the Great Smoky Mountains National Park. 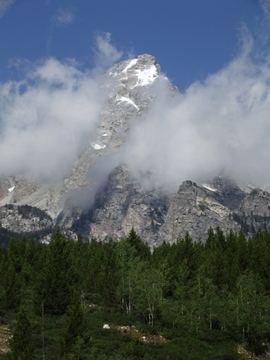 In addition to the hikes listed above, the park offers a variety of other outstanding hikes. If you do plan to visit the Smokies this year, please note that our hiking website also offers a wide variety of accommodation listings to help with all your vacation planning. The Blue Ridge Parkway is currently closed from Craggy Gardens Picnic Area (Milepost 367.5) to Mt. Mitchell State Park (Milepost 355.5) due to a rockslide. The slide occurred early Saturday evening when the parkway was open to traffic. No one was injured as a result of the incident. Preliminary site assessments have revealed that due to the size of debris in the roadway and potential for additional material sloughing off, the closure of this section will be in effect for several weeks. Parkway engineers are working with the Federal Highway Administration to develop a plan for removing the debris in such a way that protects the safety of visitors and parkway resources. During the period of closure the parkway is closed to all traffic, including cyclist and hikers, due to the potential for additional rock fall and heavy equipment in the area during debris removal. Please respect this road closure for your safety and the safety of others. In addition to the above closure due to rock slide, NPS maintenance crews will be completing hazard tree removal from Ox Creek Road to Craggy Picnic Area which will result in day time closures of the parkway from Milepost 375.6 to 367.6. 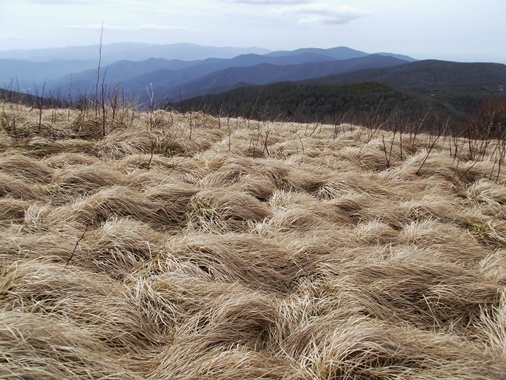 Access to Mount Mitchell from the north is still available. Please remember that conditions on the parkway are constantly changing. Check the real time roadmap before leaving on your next Parkway trip https://www.nps.gov/maps/blri/road-closures/. Most visitors come to the Red River Gorge to enjoy its natural beauty and admire the towering rock features that extend across this scenic landscape. A few, however, come to deface and vandalize in moments what took Mother Nature centuries to create. Natural stone arches, cliff surfaces, and stone masonry bridges are the usual targets. Among the most recent are Nada Tunnel and Sky Bridge, both iconic structures in the Red River Gorge. “The cost and labor involved to remove spray paint from stone is no easy task, especially in remote areas,” added Eling. “Sandblasters, pressure washers, and gas-powered generators are some of the equipment required to remove spray paint, and it’s a long, tedious job for those who try to undo the damage. “Spray paint tends to really soak into sandstone, so the removal of paint also requires the removal of some rock surface. As far as carvings go, only the process of erosion over time will erase those. As part of a Leave No Trace initiative, an educational video was created last fall to help raise awareness about the graffiti problem in the gorge. This video can be viewed online at https://lnt.org/blog/fighting-graffiti-red-river-gorge. Visitors are encouraged to report vandalism to the nearest Forest Service office if they see it occur. Anyone caught conducting this illegal activity will be fined and prosecuted in federal court. 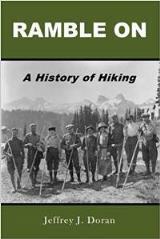 Parks Canada, in partnership with the University of Alberta, has recently announced the launch of Mountains 101, a free online series of courses that will provide a comprehensive overview of mountain studies. Mountains 101 was designed to inspire people around the world to learn and explore Canada’s mountain heritage, and to understand how Parks Canada protects, conserves and shares these special places. Mountains 101­­ will also share general tips and tricks to safely enjoy time in the high alpine environment. Outdoor experts will also provide a smart and useful "Tech Tip" at the end of every lesson -- from how to pick the best footwear for hiking, to making smart decisions in avalanche terrain. For more information on the course and to sign-up, please click here. The Appalachian Trail Conservancy (ATC) recently announced the launch of its new Hiker Education Accreditation Program, which will certify qualified individuals to teach informational courses on hiking, backpacking, camping and sustainable outdoor practices. This program is designed to give Appalachian Trail (A.T.) hikers of all skill levels an opportunity to receive high-quality instruction about hiking safely and ethically in America’s backwoods. “This program trains the trainer to spread key information far beyond the areas the Appalachian Trail Conservancy can physically reach, allowing competent and passionate instructors throughout the U.S. to offer ‘How to Hike the Appalachian Trail’ courses that we are proud to recommend,” said Morgan Sommerville, southern regional director for the ATC. The Hiker Education Accreditation Program will help point hikers to expert course providers whose curriculum meets the ATC’s training requirements. This program is a partnership with individuals offering A.T. hiking courses concerning equipment selection, Leave No Trace principles and other skills that will maximize their enjoyment and protection of the A.T. hiking experience. “These types workshops help hikers understand the types of questions they need to be asking themselves before they set foot on the Appalachian Trail,” said Chloë de Camara, ridgerunner/camp coordinator for the ATC. As the world’s most popular long-distance hiking trail, the A.T. continues to experience increased visitation. Misuse of the Trail creates significant impacts on natural resources, but this damage can be prevented with proper training, planning and preparation. The ATC encourages individuals currently delivering workshops about the A.T., day hiking, backpacking and long-distance hiking to apply for the Hiker Education Accreditation Program by March 10 by clicking here. 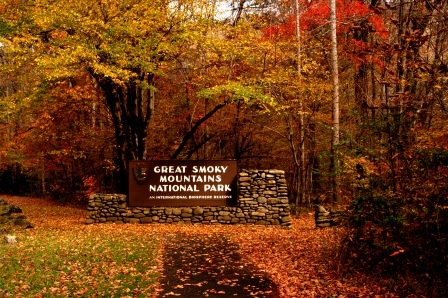 On Monday National Parks Conservation Association (NPCA) presented a donation to the Friends of the Smokies to support ongoing local recovery efforts in the wake of wildfires that devastated Great Smoky Mountains National Park and surrounding communities in November.